The #FeesMustFall movement has run riot, and free tertiary education is the demand, but is the higher education system already producing too many graduates? And are there enough opportunities in the labour market for every new graduate every year? 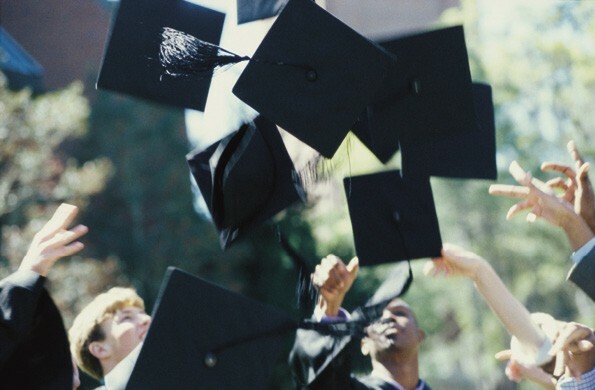 A recent study has revealed that only 0.07% of more than a million employees permanently employed in South Africa hold a PhD, despite universities reportedly producing 14 155 PhDs in the ten-year period from 2002 to 2012. “The study, which looked at the employability of PhD graduates in South Africa, indicates that graduates are struggling to find employment in the country.”According to Dr Amaleya Goneos-Malka, Post-Doctoral Research Fellow at the University of Pretoria, PhD graduates are often excluded from the recruitment space because they are seen as overqualified by human resource personnel. Goneos-Malka says that the first part of the study looked at recent PhD graduates from 14 leading South African universities and considered graduates’ perspectives and perceptions of the employment space. Fifty percent of PhD graduates had either experienced, or had peers who had experienced difficulties finding employment. How can this problem be solved? According to Dreyfus and Dreyfus, “constructive workplace learning is directed at shifting the individual from being merely competent to becoming proficient or expert.” Various work readiness initiatives are available, including Learnerships, PIVOTAL Grants and Workplace Learning, and PIVOTAL Programmes. These initiatives should be aimed at meeting the scarce skills needs. “Scarce and critical skills refer to an absolute or relative demand, current or future, for skilled, qualified and experienced people to fill particular roles, professions, occupations or specialisations in the labour market,” concludes McIntyre.